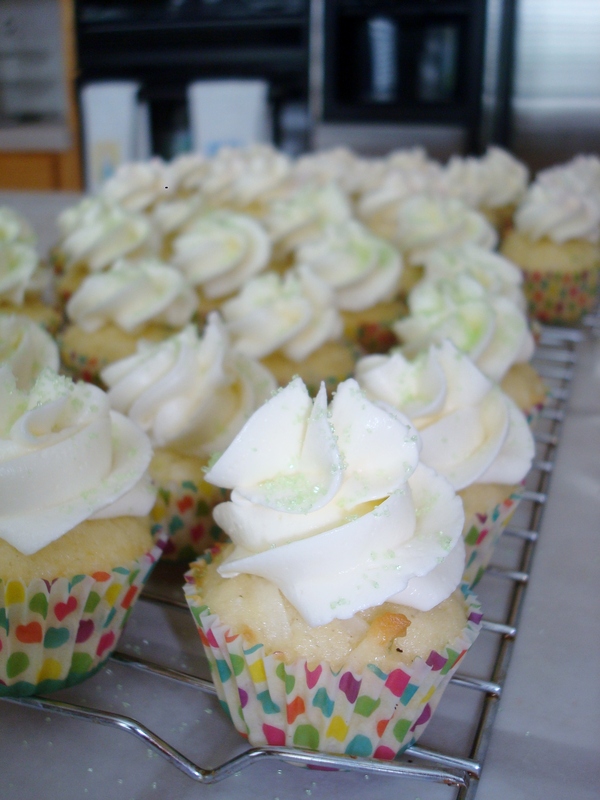 Coconut, Lime, and Honey Cupcakes | Cupcake Villains Strike Again! Using a stand or hand mixer, cream together the butter and sugar until light and fluffy. Add the eggs one at a time, mixing in each one completely. Mix in the vanilla. 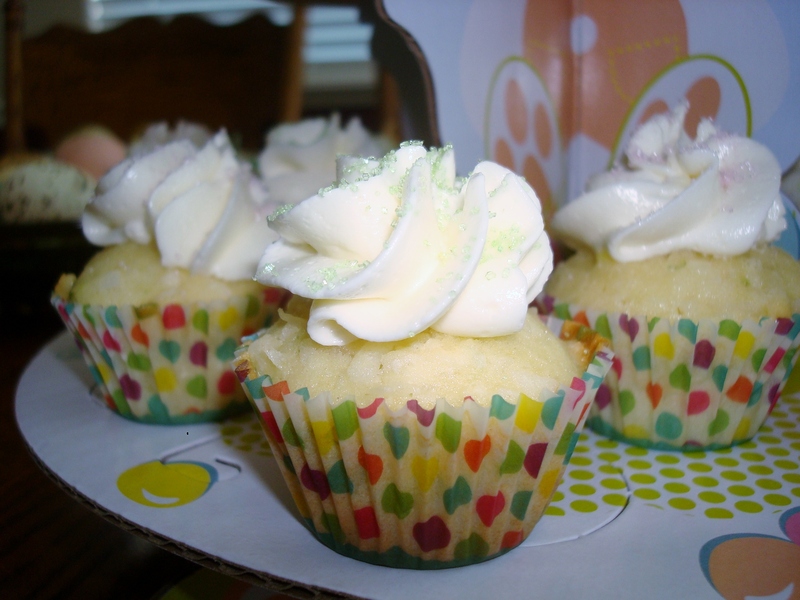 Fill greased or lined cupcake tins 3/4 full with the batter. These will not rise THAT much, so don’t worry about over filling. 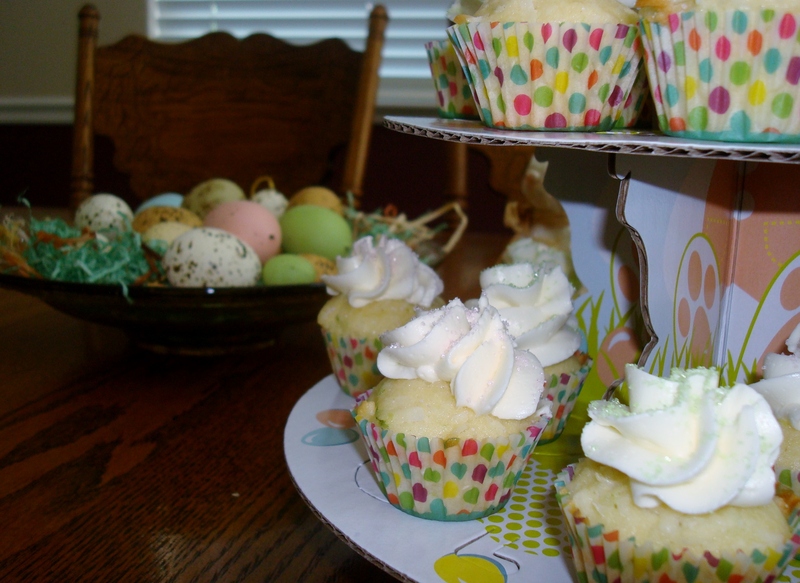 For mini cupcakes, bake at 325 for 15-17 minutes, or until a toothpick comes out clean. 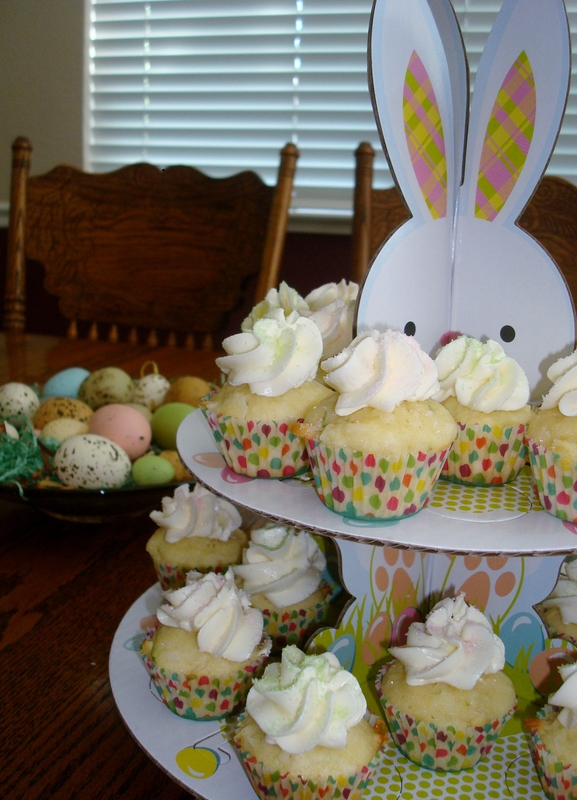 For regular-sized cupcakes, bake for 18-22 minutes. Combine the egg whites and sugar in the mixing bowl and whisk to combine. Set over a double boiler and simmer, whisking all the time, until it loosens and warms. As soon as the sugar is dissolved and you cannot feel it against your fingers, remove the pan from the heat. DO NOT overheat or else the egg whites will scramble. Use a hand mixer or stand mixer to beat the egg white/sugar on high until the bowl or pan you heated them in is cool and the mixture forms stiff peaks like a regular meringue. Cut the butter into squares. With your mixer on medium, add the butter square by square. Make sure each square is mixed in before adding another. Do not set the mixer to high…please keep it at medium. Be patient!!! Keep beating until all of the butter is absorbed and you have reached a more smooth consistency. Switch to a hand-held instrument – spatula or wooden spoon – and beat for another 2 to 3 minutes. This will remove any air pockets and smooth out the frosting. If using a stand mixer, switch to the paddle attachment and set the mixer on low until the frosting is smooth. Once the consistency is smooth, add the lemon juice and zest. Taste and add more if necessary.